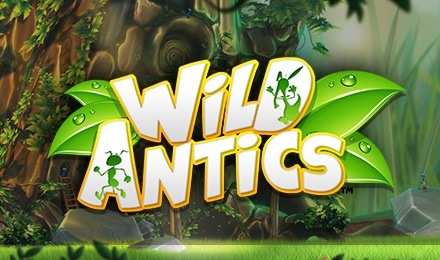 March along with the soldier ants on Wild ANTics Slots! Let them guide you to the riches through four Free Spins features and four randomly triggered Jet Pack Antics features! There is nothing more thrilling than playing Wild ANTics Slots from Blue Print Gaming! This is not a usual 5 reels, 40 Paylines slot, as it comes with not less than four random features plus four free spins bonuses! This game is all about small creatures living in nature. Get the Bonus icons on reels 1 and 5 simultaneously to play 1 of the 4 Free Spins. On each of the Free Spins feature, you will find different kind of wilds, such as Roaming, Expanding, Multiplying, and Colossal Wilds. Randomly trigger 1 of the 4 Jet Pack Antics feature to get Extra Wilds on the reels.